Sharon Kay Wheelock age 72, of Falling Waters, WV passed away on Wednesday, April 26th at her residence. She was born August 30, 1944 in Clarksburg, WV; the daughter of the late Sherman Lee Dillion and Ivy Blanche (Ellison) Dillon. 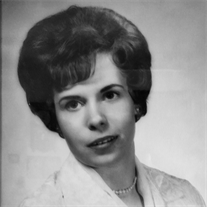 Sharon is survived by her loving husband of 50 years, Willard "Bud" Foster Wheelock; two daughters, Angelique Marie Wheelock and husband Leonard Walker Kilburn of Gaithersburg, MD, Susannah Michelle Wheelock of Ashburn, VA; brother, James and wife Betty Dillon of Roseville, MN; three nephews, Sean Dillon of Maple Grove, MN, Scott Dillon of Maplewood, MN, and Michael Dillon of Elk River, MN. Sharon was a 1962 graduate of Washington Irving High School in Clarksburg, WV, and then went on to complete a certificate course at Gale Airline Institute in St. Paul, MN in 1963. After marrying Bud and starting a family, Sharon began pursuing her artistic passion in 1982 by creating her own company called Dolls by Sharon. Over the next 15 years, Sharon would go on to win critical acclaim for her original dolls and antique toy re-creations, and participate in many juried art and craftsmen shows including the Stonewall Jackson Jubilee, The Mountaineer Festival, Oglebay Craft Festival, WV Forest Festival, and Bob Evans Farm Festival. Sharon was locally known for being the creator of the official doll for the WV Italian Heritage Festival through 1997. In later years, Sharon was particularly fond of baking, gardening, and visiting her daughters and her many fur-grandbabies. In lieu of flowers, a donation may be made to honor Sharon's love of animals by making a gift in her name to the World Wildlife Fund at https://www.worldwildlife.org. Family will receive friends at Davis Funeral Home, 124 Olen Thomas Dr., Clarksburg, on Monday, May 1, 2017 from 11:00am until time of service at 1:00pm with Pastor Richard Settles. Interment will follow at Bridgeport Cemetery. Online condolences may be sent to DavisFuneralHomeWV.com. 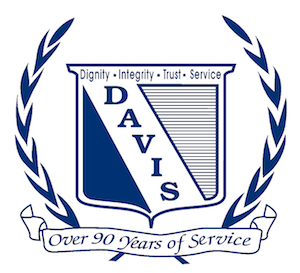 Davis Funeral Home is honored to serve the Wheelock family.